I don't often post cards that I've created based on Mojo Monday sketches. Not that the site isn't great or the sketches aren't inspiring. In fact, it's quite the opposite. Have you seen the cards there? Wow, wow, wow, is all I can say. 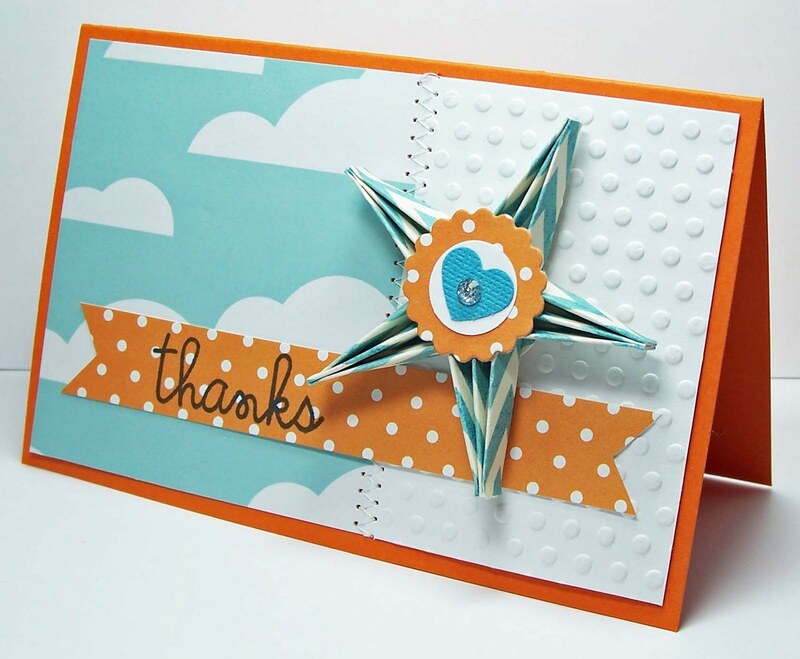 There are a ton of super talented folks that make the most beautiful cards. 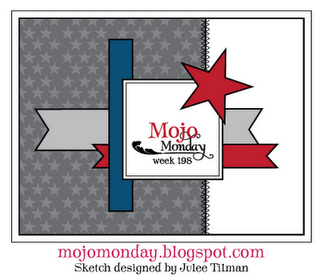 I'm just hoping some of the mojo will rub off on me:) So today I'm playing along with Mojo Monday Challenge Week 198! With this card, it all started with the paper. From the looks at my stash, I really love orange and blue. I have to admit it makes me really happy! I'm still learning how to put together layers and the MM sketches are so helpful with this. 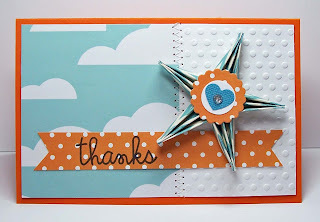 The first version of this card had one more banner, a framed square in the middle, and a piece of trim. But it felt forced for me, so here's the pared down version that just felt good. 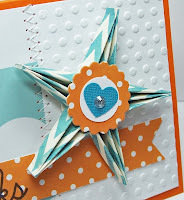 And I had so much fun making the little accordion fold star! I'm a little too into making them and accordion flowers lately. So from a newbie to all the MM folks, thank you so much for all the inspiration! Thanks for looking! 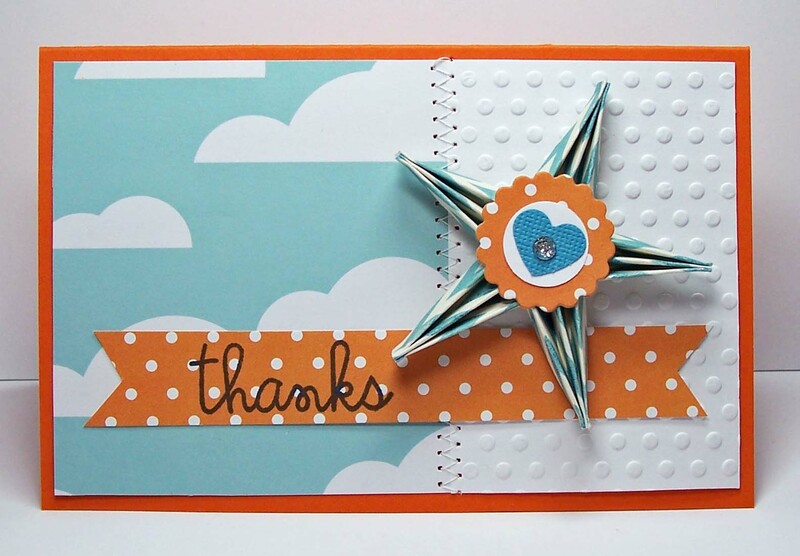 Thanks for taking a peep at my cards, you are very talented. 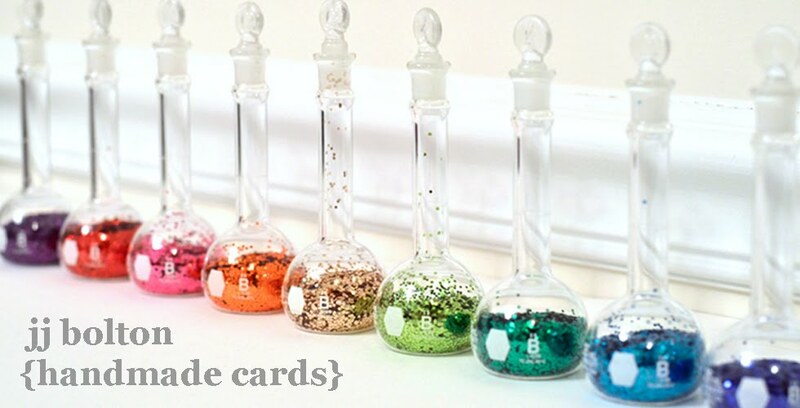 I like the simple colours on not too cluttered fresh card style. And as you say some challenges ask for more and more and mostly less is best. Hi! I love how you did your star. So unique! Never seen that fold before. Thanks for sharing and leaving a sweet comment in my blog. Wow, this is so fun, and that star is amazing! Very fresh and fun! 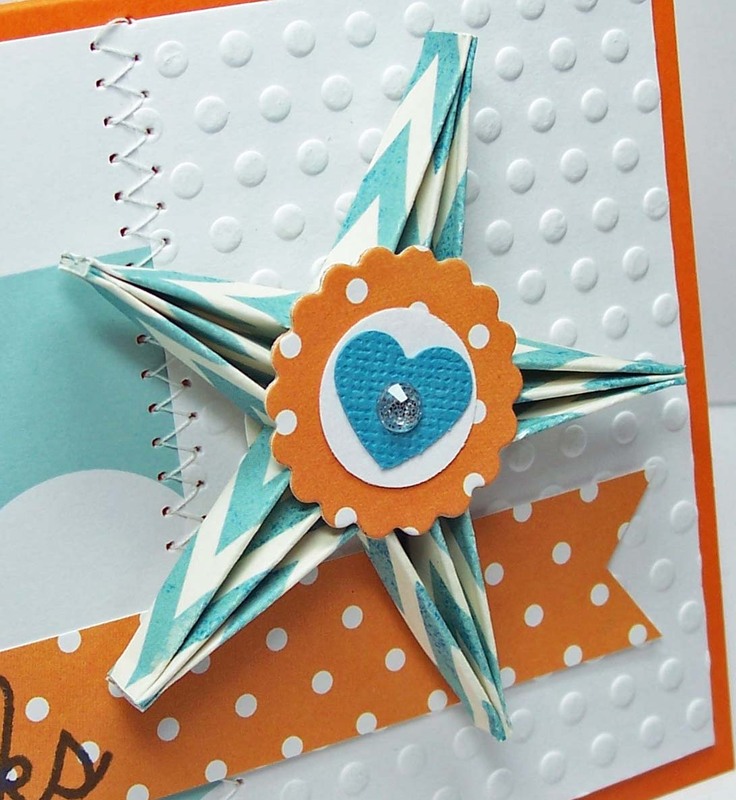 Great color combo and that star is adorable!